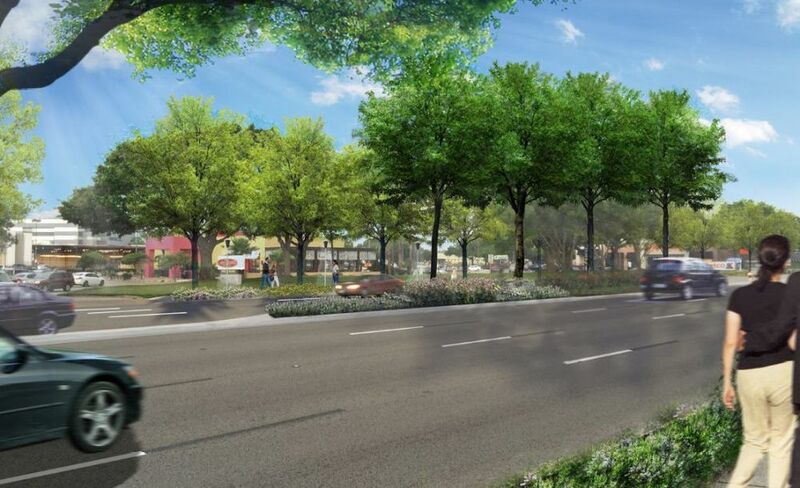 Westchase District Corridor Improvements — Binkley & Barfield, Inc.
BBI completed the planning and design of three major street corridors within Westchase District, including Westheimer, Walnut Bend, and Meadowglen. The projects included roadway reconstruction, utility upgrades, and streetscape improvements for approximately seven miles of roadway. An extensive public outreach strategy enabled the BBI design team to listen to stakeholder input and create concepts based on the residents, business owners, commuters, and retail shoppers that visit the subject corridors. During the public input meetings, the stakeholders participated in interactive exercises to develop the branding and concepts for the proposed improvements. These exercises included instant polling, a streetscape design exercise, and one-on-one in-depth discussions about prioritized topics most important to the stakeholders. A Preliminary Engineering Report (PER) was then created for each corridor that included all proposed improvements. Detailed cost estimates, analysis of existing utilities with necessary upgrades, recommendations for pavement reconstruction, and proposed streetscape alternatives and recommendations were included. This PER served as the basis for the Engineering Design Phase. The BBI team worked with the City of Houston, METRO, TxDOT, and the Harris County Flood Control District during this project. In addition, the BBI team worked with private utility companies (CenterPoint Energy, CenterPoint Gas, AT&T, Miscellaneous Pipeline Companies, and Comcast Cable). We know the personnel and the processes from each of these agencies that were needed for approval of plans and the procurement of permits.